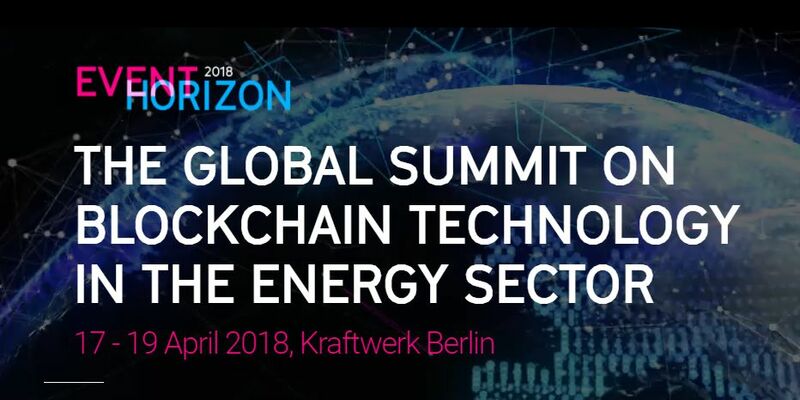 On 17-19 April 2018 EventHorizon 2018 takes place in Berlin – the global summit on the use of Blockchain technology in the energy sector. During the event Virtual Power Plant, as one of 40 startups from all over the world, will present own innovative solution. Grzegorz Nowaczewski, VPPlant CEO, for the first time will talk about driv2e – a new project of our company. The second edition of EventHorizon is held this year in Berlin. The event is focused on solutions in energy sector which implement blockchain in order to build the future of energy, based on renewable resources. EventHorizon brings together pioneers, visionaries and experts operating in different areas of energy sector, which lets them to encounter different perspectives and innovations. This year’s meeting is focused on: transformation of companies from energy sector, legal regulations, investment strategies, security, access to energy, climate changes and renewable energy resources. During EventHorizon 2018 will host over 100 speakers. The main ones include: Sebastian Copeland (polar explorer and climate caretaker), Christoph Frei (secretary general and CEO of World Energy Council), Tom Dinwoodie (veteran of photovoltaic industry, investor in clean technologies), and Jules Besnainou (director in cleantech group). Among other influential speakers are: Gavin Wood (co-founder and former CEO of Ethereum), Eva Kaili (member of the European Parliament and chair of its Science and Technology Options Assessment body), Jeffrey Char (director, TEPCO), Ramona Liberoff (COO of Innogy’s Innovation Hub), and Ewald Hesse (CEO and co-founder of Grid Singularity and vice president of Energy Web Foundation). For the first time at EventHorizon, the most interesting energy blockchain startups will perform their presentations. 40 representatives of companies, which have qualified with their pitches, will have 20 minutes to present their ideas and business model. Among companies qualified for participation, there is one startup from Poland – Virtual Power Plant. The leader of VPPlant will present the new project – driv2e, a service enabling the faster and cheaper charging of electric vehicle at the office building, shopping centre or near a modern sport facility.